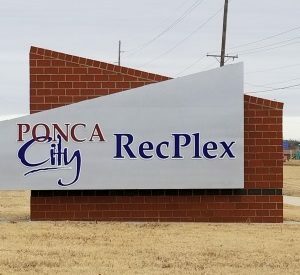 New signs are going up inside and outside the Ponca City RecPlex, formerly the Ponca City Aquatic and Family Center — YMCA. 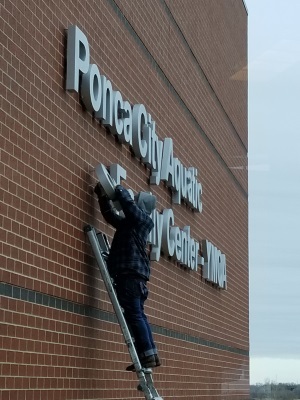 Now that the facility is under the direction of the Ponca City Parks and Recreation Department, Parks and Rec employees are bustling to spruce up the building. 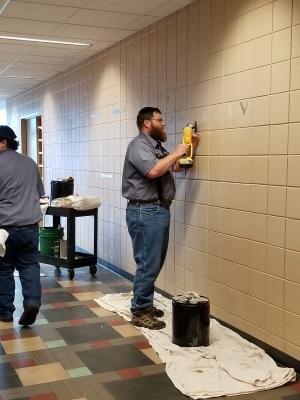 They’ve spent today taking down YMCA related displays on the center’s walls and prepping them for new paint, and adding new logos and branding. 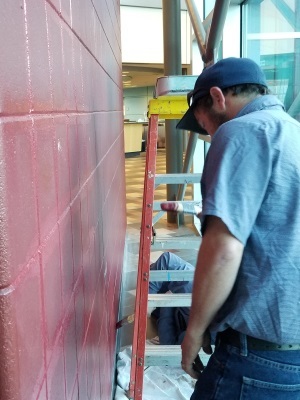 More cleaning and polishing is going on to bring a fresh, new appearance to the revitalized facility, to go along with extended hours, more classes and lower membership rates. Monday through Friday 5 a.m. to 10 p.m.
For more information on memberships at the Ponca City RecPlex, visit [email protected] or call (580) 767-0430.